The TATRA TRUCKS company in cooperation with its German business partner, the Leewes & Ludmann company, is exhibiting its new product – AGROTRUCK – at the Agritechnica exhibition in Hannover, Germany. The exhibition takes place from 10 to 16 November 2013. Agritechnica is the most significant international meeting of experts in agricultural technology. Exhibitors from all over the world have an opportunity to present their technologies, machines and equipment for professional plant production. 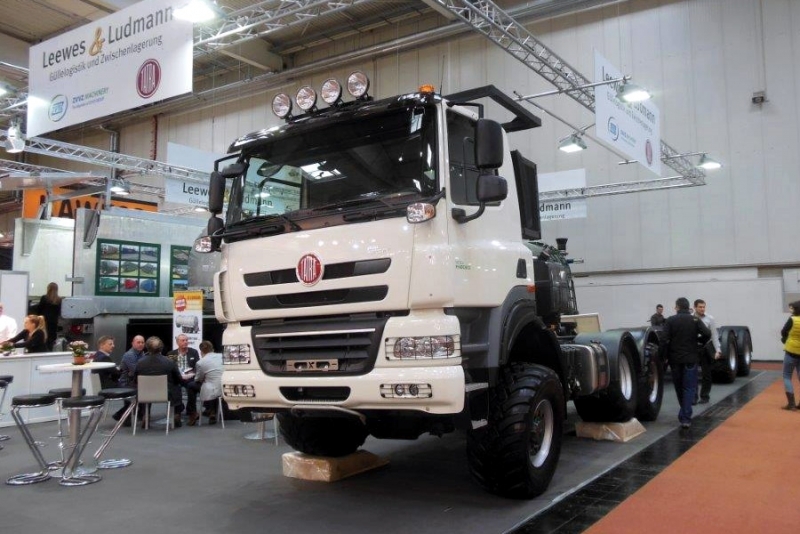 The TATRA TRUCKS company took this opportunity to exhibit its newest special truck, which was designed and made within a customer project and “fine-tuned” in cooperation with farmers of the Rolnické družstvo Lesonice agricultural company . The 6x6 TATRA AGROTRUCK is based on the tried and tested TATRA concept – a chassis consisting of the central load-carrying tube and independently suspended swinging half axles – namely on the T158 TATRA PHOENIX model, which has air suspension on all axles. The vehicle is equipped with a 340-kW PACCAR MX engine. The transmission is automatic, made by Allison. The two-speed transfer case was made by the Kopřivnice-based motor company. The wheel base of this special agricultural truck is, in comparison with the TATRA truck, shortened to 3,060 mm and has a rear axle steerable up to the speed of 40 kmph. The start of agrotruck series production is scheduled for the second half of 2014 in connection with the launch of the production of EURO 6 vehicles. 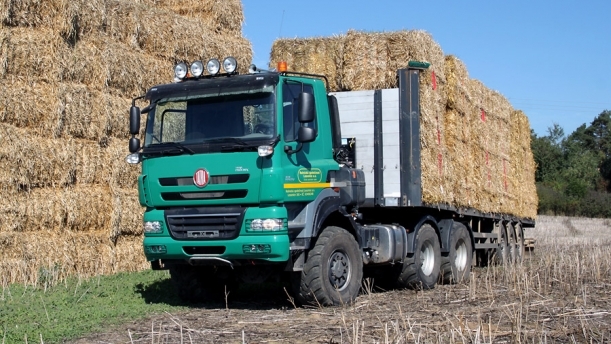 The production of this model is supposed to strengthen the presence of TATRA trucks in agriculture, a field in which Tatras have been used as chassis-cabs for agricultural swab bodies for many years. 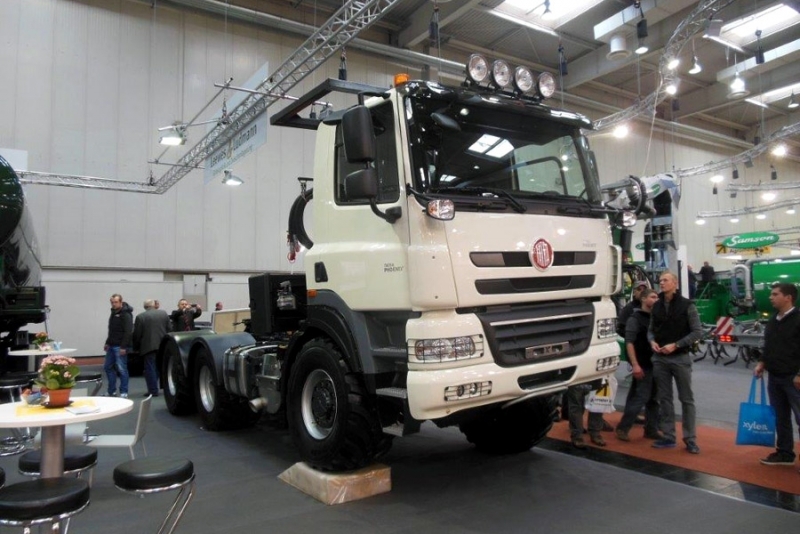 The participation of the TATRA TRUCKS company in the world´s leading exhibition for agricultural machinery and equipment shows the company´s efforts to make a comeback to the agricultural sector, i.e. another field of special trucks, where the tried and tested TATRA concept in combination with air suspension definitely has a lot to offer, and not only in terms of great mobility of the vehicle on tough and harsh terrain, but also because of the efficient and economical PACCAR MX engines with regards to productivity, profitability and driving comfort. For more information about the TATRA AGROTRUCK and chassis-cab for agricultural swap bodies click on the links below.